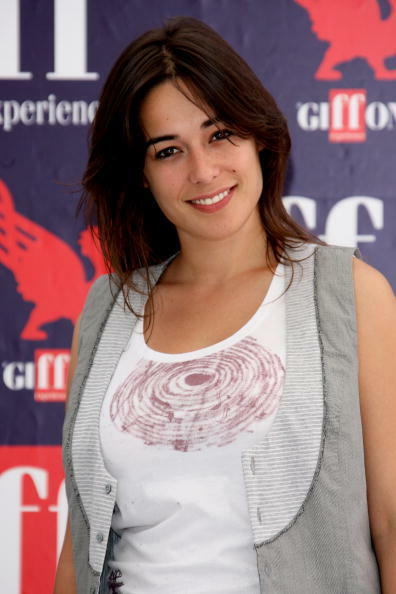 Diane Fleri at the 2009 Giffoni Film Festival. Diane Fleri at the premiere of "Mio Fratello E Figlio Unico" during the 60th International Cannes Film Festival. Diane Fleri at the Italian Movie Awards "David Di Donatello." Diane Fleri at the premiere of "Il Prossimo Tuo" during the 3rd Rome International Film Festival. Luca Argentero, Luca Lucini and Diane Fleri at the premiere of "Solo Un Padre." Diane Fleri and Luca Argentero at the photocall of "Solo Un Padre." Diane Fleri at the photocall of "Solo Un Padre." Diane Fleri at the photocall of "Il Prossimo Tuo" during the 3rd Rome International Film Festival. Diane Fleri at the premiere of "Solo Un Padre." Diane Fleri at the Scalo 76 Music Show.